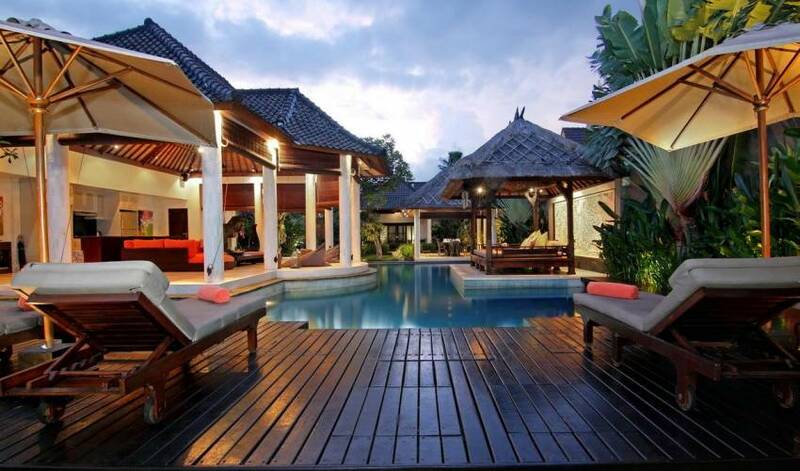 Tucked away in the Jalan Drupadi district of Seminyak is Villa 3275. 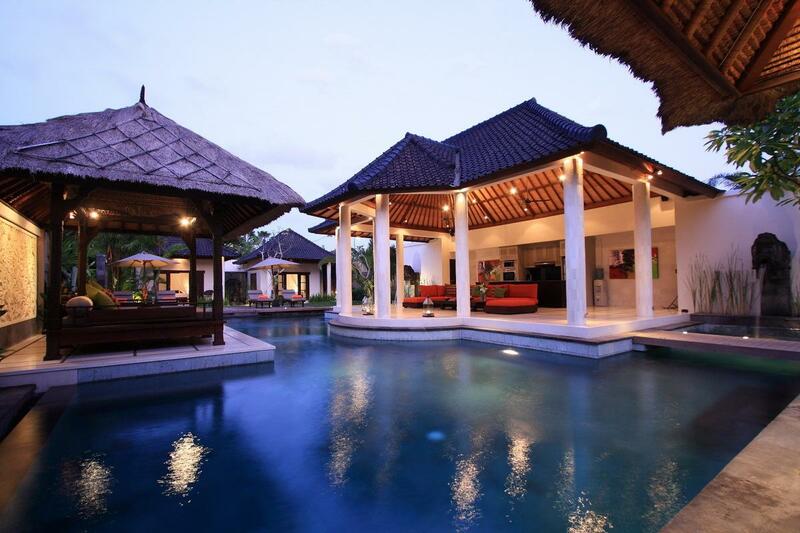 A private luxury villa offering its guests full facilities and friendly trained staff. 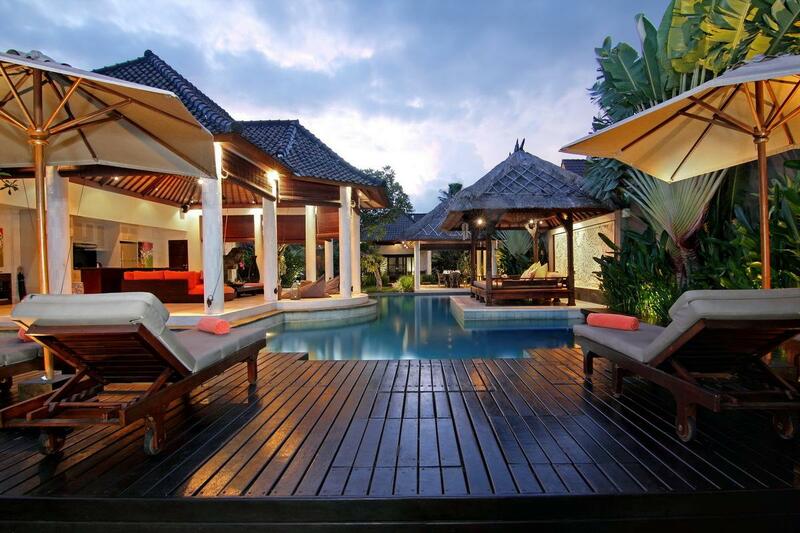 Only 20 minutes drive from Bali's International airport and a 10 minute stroll from the beautiful Seminyak Beach. The area of Seminyak is lined with a great choice of Bali’s best fine dining restaurants and bars including: Metis, KU DE TA, Potato Head, Sarong, Ultimo and La Lucciola. 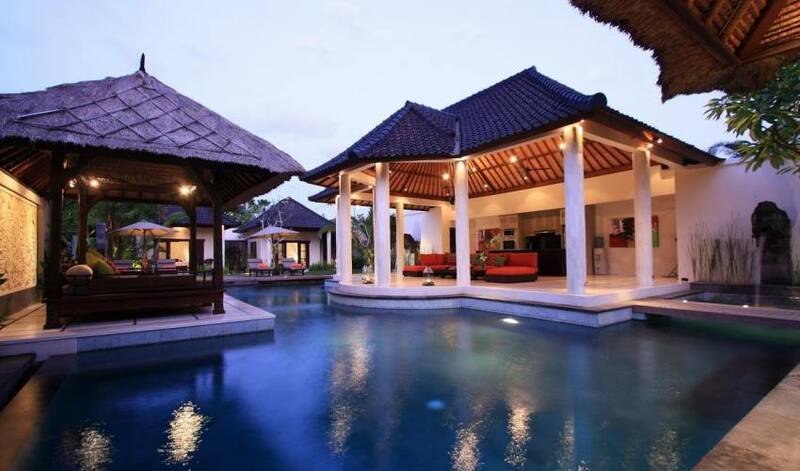 The villa is located down the end of a quiet laneway off Jalan Drupadi in a very private, but convenient location, right in the heart of Seminyak. Within walking distance to the famous “Eat Street” where there are many casual cafes, restaurants, trendy bars and nightlife. Also within easy access is a fine selection of boutiques and up-market shopping. 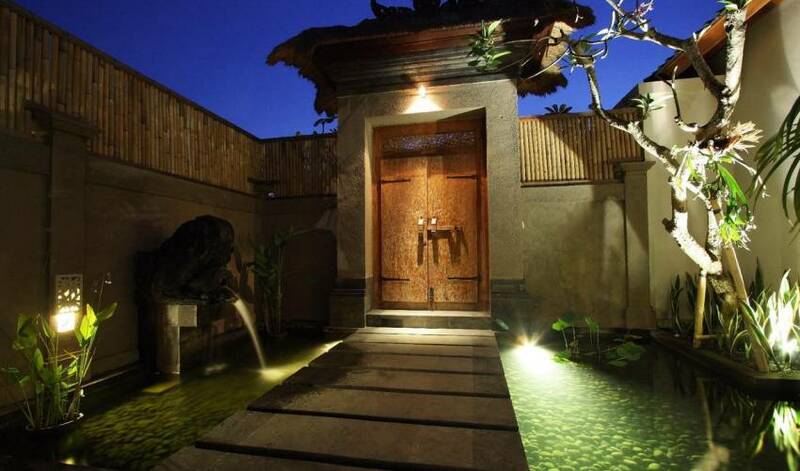 Enter the villa through oversized Balinese antique gates and across a small fishpond with stepping stones. 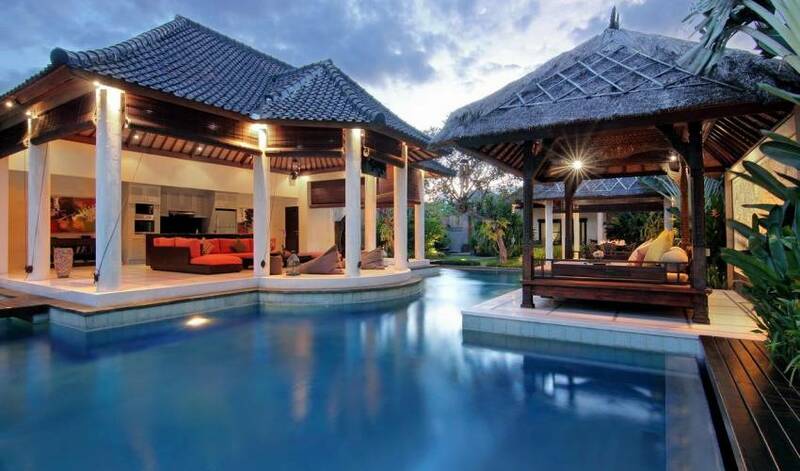 The villa is surrounded by lush tropical landscaped gardens, frangipani trees, palms and lavish lawns. There are some spectacular oversized stone Budha statues which light up during the evenings and water features which reflect the true Bali. All bedrooms are beautifully presented with quality furnishings and the perfect place to unwind after another special day in Bali. The spacious master bedroom features a king size bed, with large storage and hanging spaces. The amazing and spectacularly designed en-suite features a large stone bath for you to relax in at the end of the day with the sound of the waterfall beside you and a candle lit lantern for that romantic touch. There is also an outdoor shower in a pebble clad garden. A further two separate spacious bedrooms are also available, full of beautiful decor. Rooms can be configured into a king size or king single beds to allow easy flexibility for all your guests. All bedrooms have air conditioning, mosquito nets, TV / DVD players, safe-deposit boxes and feature outdoor showers with bathroom amenities provided, including a hair dryer. A fourth bedroom adjoining the master bedroom can be configured into a queen size bed or two singles. The generous bathroom is shared with the master bedroom, as is the wardrobe/storage area – the perfect room for families with children, as it has an inter-connecting door for privacy. 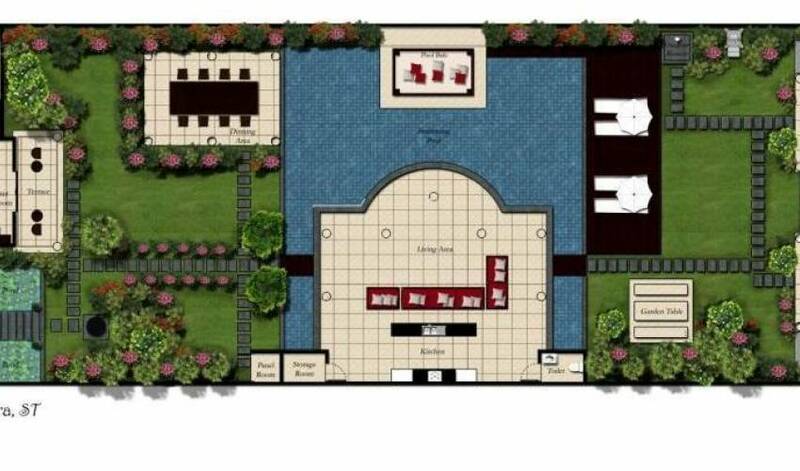 The large open plan living room is accessed via walkways over the stunning free form swimming pool. It’s a great area to relax with family and friends, and features a large ten person sofa, bean bags, a satellite television and DVD player. Adjacent to the swimming pool, the dining pavilion provides you with an impressive hand-made timber table which seats 8-10 people. Here you can enjoy breakfast, lunch or dinner, beautifully prepared by the in-house chef. 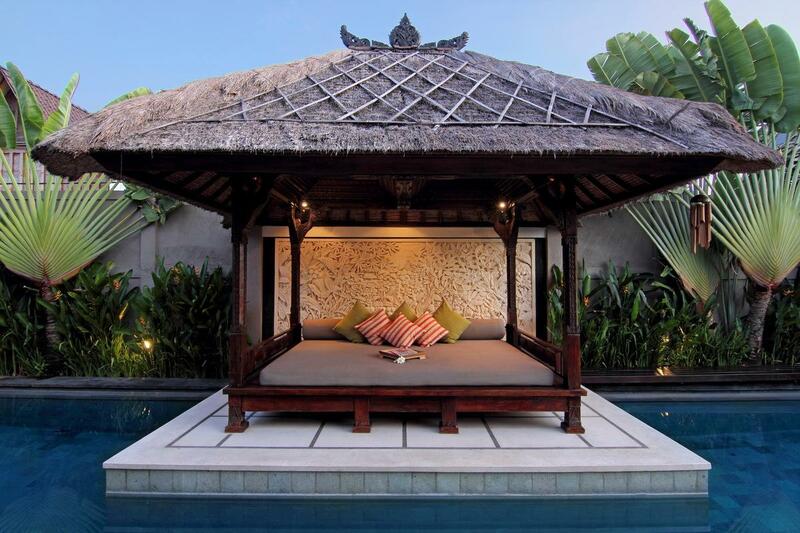 If you want to escape the heat, take refuge in the shade of the exotic Balinese day-bed. 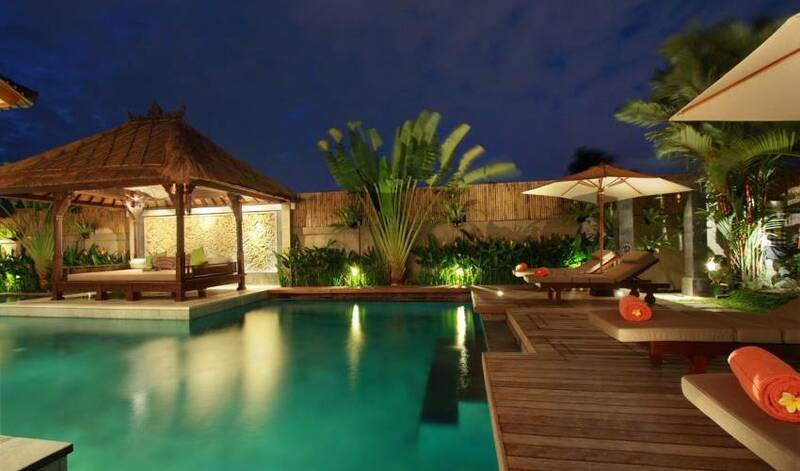 Overlooking the pool, you can kick back, read a book, have a massage and let yourself truly unwind and relax. For the more casual occasions there is a terrazzo table with bench chairs where you can enjoy lunch or some pre-dinner drinks within a tropical garden setting. The villa is fully staffed with a house manager, housekeepers/butler and cook to meet your every need. Evening security is also provided. 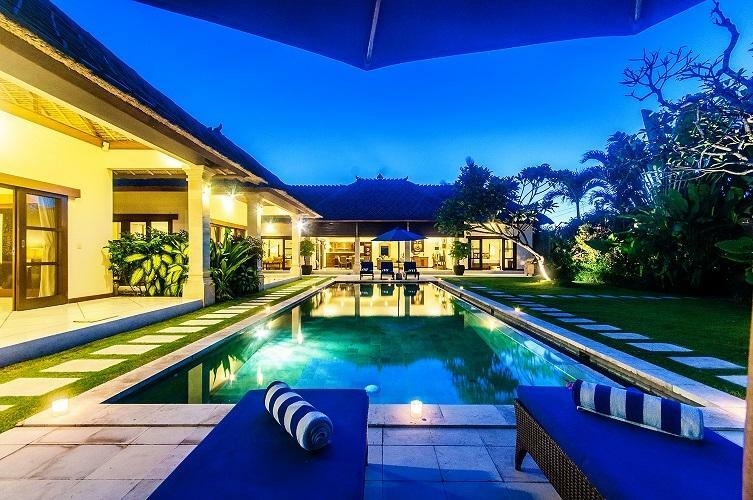 The villa boasts a spectacular free form swimming pool which is the centerpiece of this tranquil abode. 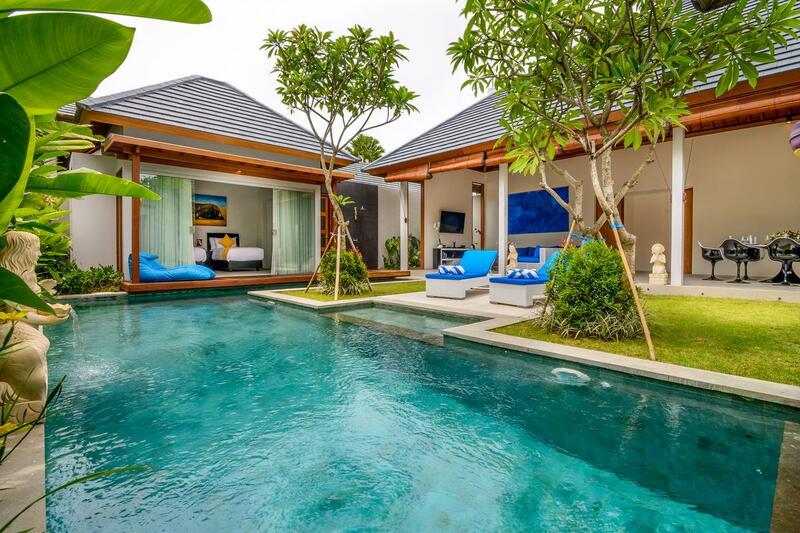 Surrounding the living room and the day bed, this large and luxurious swimming pool is the ideal place to freshen up after basking in the warmth of the radiant Bali sun. After a busy day pounding the pavement while shopping, there’s nothing more satisfying than slipping into the calm and enticing pool to soothe the skin and rejuvenate your sore, aching muscles. Alongside the pool is an ample sun-drenched pool deck, equipped with six sun lounges and umbrellas set amid the lush tropical gardens. 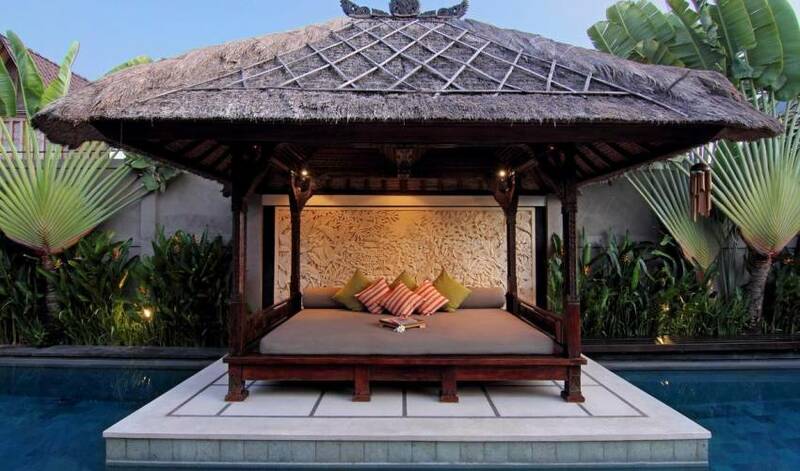 This is the perfect area to soak up the sun in your own private paradise. Guests staying here enjoy full facilities including; telephone for local calls, satellite television, DVD players, wireless internet connection and safe deposit boxes. 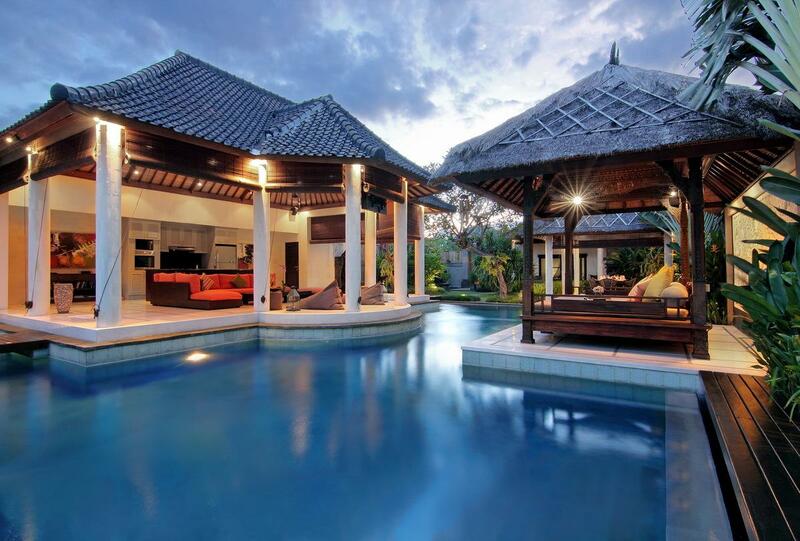 Bose sound system including an Ipod dock for your use to provide music to suit your mood throughout the villa. Rental rate inclusions: Daily Sesari Breakfast, WiFi Internet and butler service.